Mukura Forest is one of Rwanda’s many forests. It’s a protected reserve located in the North-West part of the country, in the Albertine Rift Region within the Congo Nile crest and occupies an area of about 12.00 km. Originally, this forest was big and also part of mountain forest attached to Gishwati and Nyungwe and it extended right from the Nyungwe forest all the way to the Volcanoes national Park but today, it is a small and isolated forest chunk. Mukura forest was designated as a forest reserve in 1951 and by then, it was as big as 30,000 hectares but a few years later almost half of forest cover was lost along with the amazing bio-diversity. This lose is as a result of human influence through their different activities. Today, there is just about 16,000 hectares of the forest left as the reserve although it is still a thick forest probably because it receives an amount of 1500 mm of rainfall every year, surviving under an average temperature of about 15 °C and lies at about 2600 meters high above sea level. 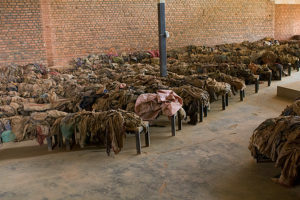 The National Commission for the Fight against Genocide – CNLG has started conserving the clothes that were worn by the victims of the genocide that took place in 1994 within Rwanda. The US Embassy offered a fund of approximately $87,000 for Cultural Preservation and the good news is that this week the CNLG started preserving all the clothes that were worn by the victims during the genocide with works beginning at the Nyamata Genocide Memorial. This fund was offered to train staff on how the conservation will be done and this is goning to start at Nyamata were remains of around 45,000 victims are preserve and later extend to other memorials across Rwanda. Jean-Damascène Bizimana the Executive Secretary of CNLG together H.E Erica Barks Ruggles the US Ambassador to Rwanda took a tour yesterday to access the progress of these conservation works. Rwanda is one of the best tourism destinations in east Africa with amazing attractions therefore very suitable for family safari. Rwanda is a place of wonders, it called the land of a thousand hills because of the fact that it is hilly in nature thus making it the perfect destination for hikers. There are hundreds of different hiking and mountain biking trails, there are numerous historical and cultural as well as religious sites that you can visit. Every visitor is free to join and enjoy the traditional music, dance and drama as well as learn about the traditional rituals. Such activities tend to be very interesting for groups traveling as a family since they are very interesting activities for every age group. This is Rwanda’s largest fresh water lake with a very beautiful scenery which is hundreds of tourists visit this place every year. 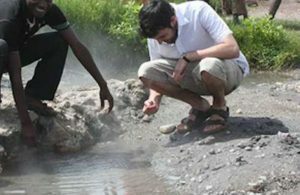 Hikers will have an interesting adventure therefore should know that this is their destination and its where the Congo –Nile trail which is the most selling trail to most hikers since it runs from Gisenyi to the south side of Lake Kivu. It is fun to bike as groups more so a family. You can simply lay back and relax at your hotel by the shore or even go swimming since the lake is very safe for swimming. Rwanda at the Newyork times travel show. 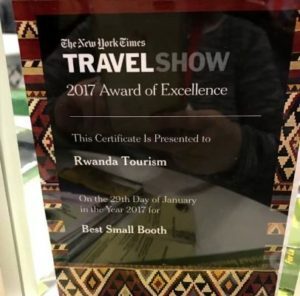 The Republic of Rwanda during the New York times travel show that started on 27th to 29th January 2017 in the United States was recognized with a beautiful award-of-excellence for having the ‘Best Small Booth’. Rwanda exhibited its tourism as well as travel sector within the section of the African continent during this New York travel show; however it stood out among the rest due to its unique beautiful presentations plus designs. 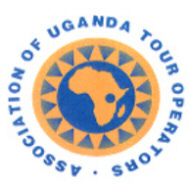 In accordance with the observers of this event, Rwanda earned this recognition mainly because of the beautiful traditional outfits they were wearing while exhibiting their Rwanda safari holidays, which complemented their beautifully decorated stand. 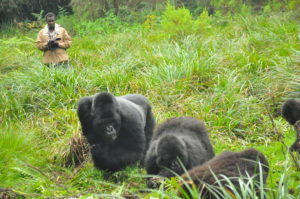 Gorilla trekking is the most enjoyed tourism activity for anyone visiting Rwanda. However many people do not know how best to prepare for this exciting and lifetime memorable adventure. 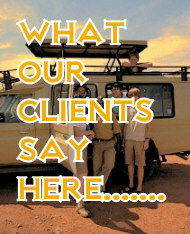 In this article we have offered you the 10 best tips or guidelines to help you prepare for your gorilla safari. Rwanda is generally a hilly country at 1,500m above sea level and during the trek you many have to ascend to an elevation of more than 3,000 meters along the steep forest paths. You should always put into consideration your fitness capability and know how far you can go. The gorilla trekking hikes take from thirty minutes to ten hours, and the good news is that you will be assigned to trek a group whose hiking distance you can actually manage. 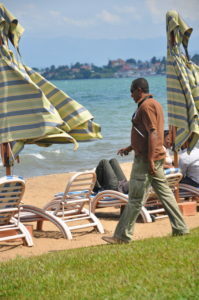 Lake Kivu is the largest lake in Rwanda and also the most scenic one compared to any other. This is one of the reason it i s the perfect place for anyone who is interested in relaxing and chilling out by the lake shore in Rwanda. Once you are in Rwanda on business or a safari you will realize that this is the best place for anyone to relax or end their Rwanda safari. You can engage in various activities or simply relax after a long trip that may involve activities like gorilla tracking and any other primates trekking activities, after a long journey of hiking and also nature walks. You can choose to stay in any of the hotels by the lake and relax, unwinding and shake off all the fatigue you may have gotten during your visit to other parts of the country. There are lots of hotels for all kinds of people with in the area and they range from the budget hotels to the luxury/ exclusive up-market hotels as well as lodges so you always have plenty to choose from depending how much you are willing to spend on accommodation. Silverback Cantsbee who is approximately 38years old, an age over the average mountain gorilla life expectancy, is the remaining of the silver-backs that Dian Fossey originally observed, and he can be seen and met by many visitors during our exciting Rwanda gorilla safari. He also has the record of holding the longest dominance reign as he took over his group from the now deceased Silverback Pablo back in 1995. Up to date, this group is referred to Pablo’s gro up. 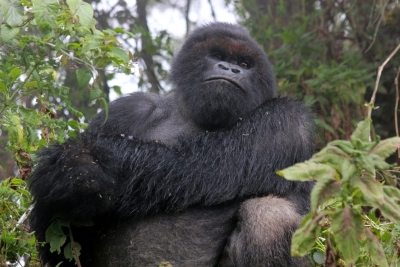 of this year the sight of Silverback Cantsbee has brought a smile to many! The disappearance and re-appearance of this gorilla has actually offered a new lesson to researchers about the behavior of gorillas.